The New CherryGrove.com site is now live! CherryGrove.com has been around since about 1997 can you believe that? Well, it was time for a complete overhaul and that is exactly what we got. 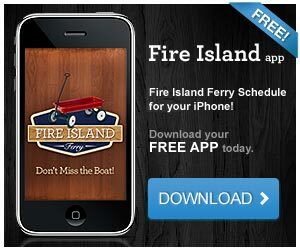 Today we launched our all new Fire Island site that services the Cherry Grove and Fire Island Pines communities. The site was designed with full social connectivity and automation, it offers frequently updated and 100% free information in a spam free environment! You now have access to Classifieds to search or post, a updated Business Directory, 2009 calender of Events, accurate and easy to read Ferry Schedule, visitor Photos and Videos and to make sure you have a great stay we also included a the following sections where users can write reviews Dining & Nightlife, Hotels. Thanks to a great domain name we have long been a leading Fire Island based website however we admit we slacked a little over the years, well we are back and not going anywhere. We hope you enjoy the new site and make sure you follow us on Twitter and Facebook. Thanks you all for visiting us today and for the support over the years!